Art, magic, and the occult have been intimately linked since our prehistoric ancestors created the first cave paintings some 50,000 years ago. As civilizations developed, these esoteric forces continued to drive culture forward, both visibly and behind the scenes, from the Hermetic ideas of the Renaissance, to the ethereal worlds of 19th century Symbolism, to the occult interests of the Surrealists. 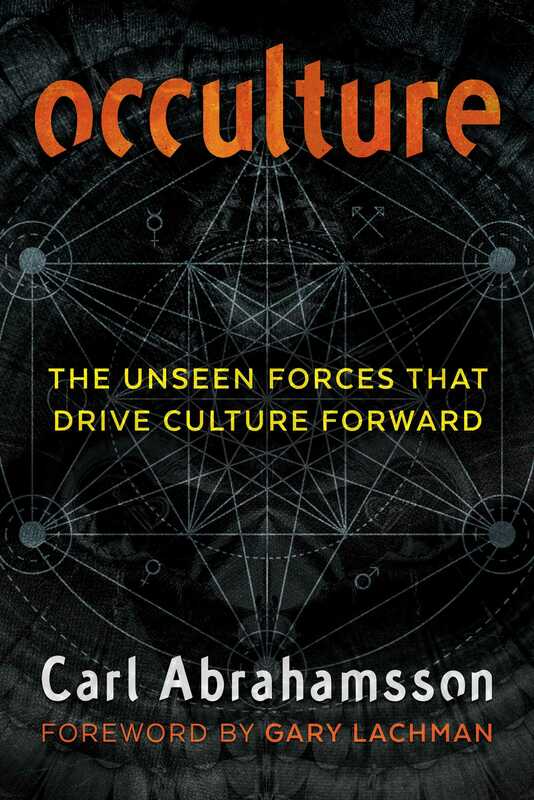 In this deep exploration of “occulture”--the liminal space where art and magic meet--Carl Abrahamsson reveals the integral role played by magic and occultism in the development of culture throughout history as well as their relevance to the continuing survival of art and creativity. Blending magical history and esoteric philosophy with his more than 30 years’ experience in occult movements, Abrahamsson looks at the phenomena and people who have been seminal in modern esoteric developments, including Carl Jung, Anton LaVey, Paul Bowles, Aleister Crowley, and Rudolf Steiner. Showing how art and magic were initially one and the same, the author explores the history of magic as a source of genuine counter culture and compares it with our contemporary soulless, digital monoculture. He reveals how the magic of art can be restored if art is employed as a means rather than an end--if it is intense, emotional, violent, and expressive--and offers strategies for creating freely, magically, even spontaneously, with intent unfettered by the whims of trends, a creative practice akin to chaos magick that assists both creators and spectators to live with meaning. He also looks at intuition and creativity as the cornerstones of genuine individuation, explaining how insights and illuminations seldom come in collective forms. Exploring magical philosophy, occult history, the arts, psychology, and the colorful grey areas in between, Abrahamsson reveals the culturally and magically transformative role of art and the ways the occult continues to transform culture to this day. On the whole, Carl Jung is already so well documented and well known that it’s almost not worth talking about him. Jung is a superstar of a different kind than Freud, despite the fact that both have been important pioneers within psychology as we know it. The word “pioneer” isn’t even enough to describe them. They are rather founders of modern psychology, which has now, in its rebellious teen independent phase, tossed them both out. Jung packed a stronger punch but not because he was less esoteric and incomprehensible than Freud--in many ways he was more so--but because he was taken in and integrated into the culture much faster. Even early on Jung was part of culture. The Dada movement shared the same environment as the budding psychology movement in Switzerland. Herman Hesse was his patient, and Jung had a creativity of his own that he battled with. Jung interpreted cultural phenomena in more general ways than Freud, whose focus was usually on the individual and isolated experiences. Jung focused more on the integration and analysis of myths, religions, customs, and symbols. In the development of concepts like the “archetypes” and the “collective unconscious,” Jung not only looked at isolated myths but also at their artistic expressions. He claimed that there is an impulse-generating layer in the psyche that is shared by all human beings and can be accessed through introspection, dreams, the study of myths, and personal artistic work. The openness that followed World War II--decidedly a necessary pendulum movement--was integrated in Jung’s life and work in telling the story of what had so far gone wrong. The need to find a healthy individualism in a paranoid and collectivistic world activated by myths with strong emotional resonances, and the integration of one’s own artistic process, eventually contributed to a liberalization of Western culture in the hippie movement, and later in the new age movement, and even to a stronger presence of political liberalism. One can think what one wants about all of these manifestations but no one can deny the influence that Carl Jung has had on our culture. A pop cultural book by Jung like Man and His Symbols is filled with a deeper understanding of Homo sapiens as cultural beings, and the opportunity to get an overview in an increasingly complex, confused, and fragmented world. One jumps over the conclusions and the demands of critical thinking to find an alluring and irrational solution to personal issues through a very general kind of inspiration. Where Jung claimed that many of our central myths told stories about essential things, which each person must process in a hard and quite often painful process of individuation, the modern interpretation from the 1960s onward has become one of facing the path of least resistance and adapting to its attractive shortcuts. Where Jung wanted to make us aware of what is already there, inside us, most people still keep looking for outside sources. His terminology rules in popular culture with terms like introvert, extrovert, synchronicity, anima, and animus. Jung’s integration of myths as an expression of fundamental psychological truths got a push forward through American mythologist Joseph Campbell’s successful books The Masks of God, The Hero with a Thousand Faces, and The Power of Myth. Here we also find an accessible focus on the analysis of myths, mainly filtered through religion, fiction, and popular culture throughout the millennia. In the 1960s, even structuralist philosophers like Roland Barthes began writing about contemporary times from a mythological perspective. Like Jung, Barthes claimed that myth is essentially a language. Where Jung wrote that this language in itself also constituted an essential content for personal development, for Barthes the mythological language became more of a convenient tool for his own contemporary criticism. But the very term “mythology” was brought forth again and no longer strictly within academic fields like the history of religions or anthropology. From a psychological perspective one could say the concept of myth was made conscious by Jung and his later interpreters. Suddenly it was around in a wider and more public context. With this, the terms “myth” and “mythology” gained more meaning. Where it used to signify a group of behaviors and stories that had lived on orally, today it’s become diluted and can signify anything from a lie to a feeling: “No, that’s not correct, it’s just a myth.” This dilution is of course a part of contemporary Western culture in general. Not just of old kinds of tradition but also of how we experience them, how we value them. Perception certainly hasn’t been sharpened but rather dulled, and the material we experience consists of impoverished and diluted versions of what once transmitted something substantial. An example: Our Western dramaturgy is based on what is called a “Homeric structure.” It ties in to Homer’s stories about Odysseus’s travels toward distinct goals. During his travels Odysseus faces problems and challenges that he deals with and solves. This is a very simple set-up and yet endlessly fascinating and represents the weight of tradition. You tell your kids the same stories that were once told to you. These stories are more important than most parents understand. But what’s happened since the days of Jung are mainly two things: technology-driven mass media and the commercialization of shared, public space. Both these things have contributed to the increased amount of fiction in relation to one’s own thinking. Where previously we chose fiction in a compartmentalized manner and actively took part of it, today we are overrun by TV, the Internet, movies, and commercials, all of which are experienced passively.We now live in and through more fiction than so called fact-based reality. Fiction has taken over. We have left the original function of myth--education, teaching, and explainingthings that are conducive to one’s own mental health--in unfortunate favor of being driven into a wall of technological rule and perceptional deficiencies at an exponentially increasing speed. "Although dealing with some deep matters - occultism, art, philosophy - that are often the object of pretentious or bombastic writing, Occulture is pleasingly free of either. Despite the breadth of his knowledge and experience, Abrahamsson never talks high-handedly to his readers, delivering his thoughts and arguments clearly. There’s much in the book for readers with every level of knowledge of the subjects discussed - although it does assume a familiarity with, for example, the ideas of Crowley, LaVey and Jung - and much to reflect upon.